Square Enix is getting pretty good at stealthy game launches, especially on mobile devices. After launching revamped mobile versions of Final Fantasy IV, V, VI and VII with updated character sprites and similarly low levels of fanfare, the game maker has finally given the ninth installment of the series a fresh coat of paint for iPhone, iPad and Android. Now, it should be pointed out that updated sprites and re-rendered videos aren't the same as the complete overhaul for Final Fantasy 7 Sony and Square promised us at E3 2015 for PS4, but it's a promising start. 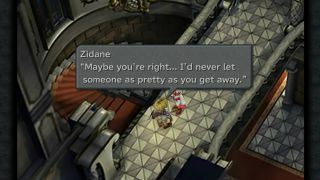 The mobile version of Final Fantasy IX includes two new features, an automatic save function and the ability to change the speed of play. You can also completely prevent random enemy encounters from happening, if you want to skip out on (some of) the tedium of grinding your characters through levels. Final Fantasy IX, for those who remember it, came out on the original PlayStation on multiple discs back in 2000 before getting a polish on PSP in 2010. It was the last game in the series to release on the original console before switching over to PlayStation 2 with the acclaimed Final Fantasy X. Square Enix announced late last year that it had plans to develop an updated version of FFIX for both tablet and PC, but since then the company has been dead silent. The news got a Phoenix Down this morning when the game popped up on the App Store and Google Play Store with a 20% discount that will extend until February 21. According to Mashable, the Steam version of the game is still in development and will be available "early 2016."